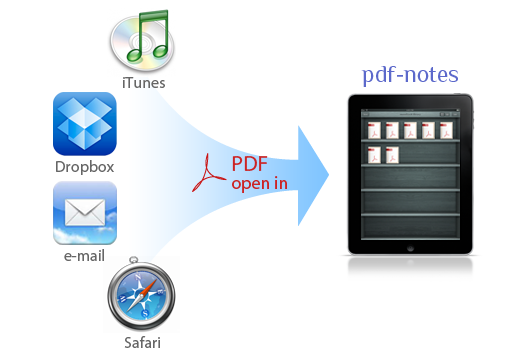 You can import multiple PDF files through iTunes or using "Open In..." feature of other apps like DropBox, E-mail or Safari. 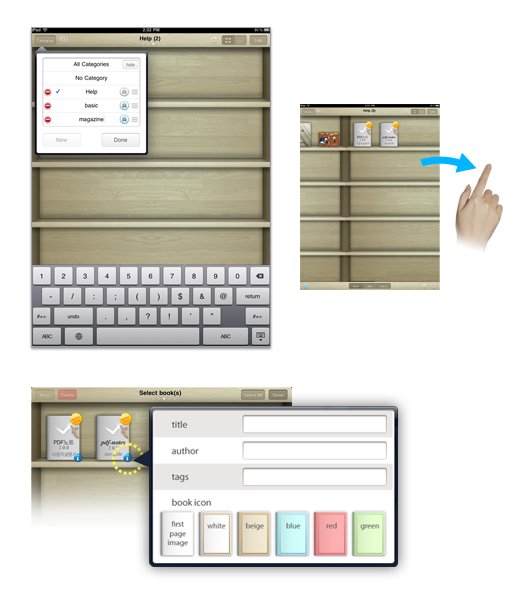 The PDF files are organized in the bookshelf so that you can see any book you want at any time any place. You can see any document immediately at the very time you pressed. No more loading times. Moreover, you can turn pages without delay of loading other pages. 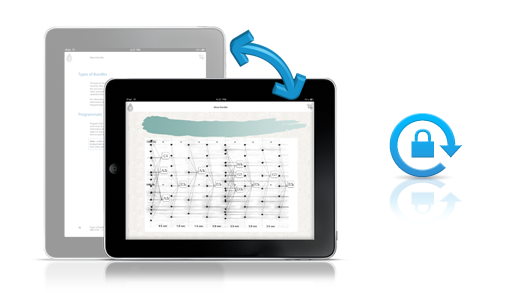 pdf-notes supports portrait view and landscape view. Please press button at the bottom right corner to lock the screen rotation. 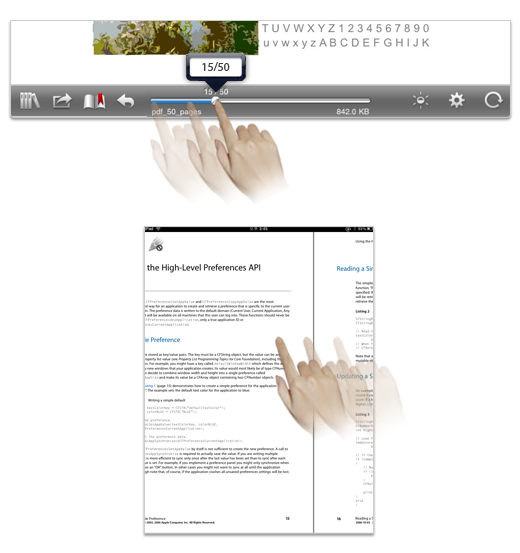 You can easily turn pages using the page slider on the buttom panel. Ofcourse, you can turn pages using your finger just like a paper book page turning. 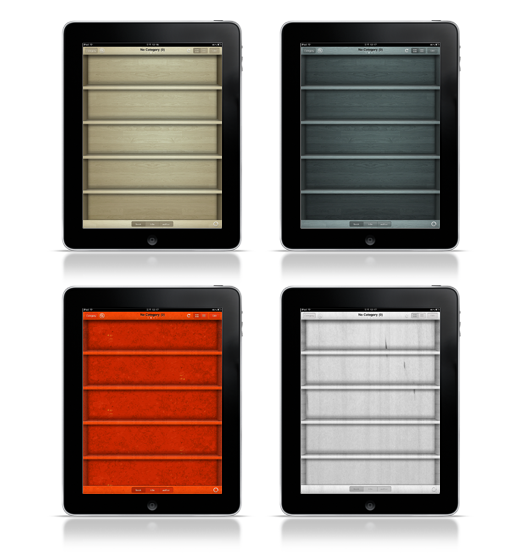 You can change the theme color of the bookshelf - Beige, Black, Red, White. Enjoy a new impression every time by changing the theme color.